Great-tasting, sugar-free chewing gum that with regular use actually helps decrease tooth decay & dental plaque acid production with Xylitol. The gum of choice for fresher breath and healthy teeth & gums. Flavors include cinnamon, fresh fruit, peppermint and spearmint. Ingredients: Cinnamon flavor: Xylitol, gum base, natural flavor (Cinnamon oil), vegetable glycerin, gum Arabic, soy lecithin, beeswax. Fresh Fruit flavor: Xylitol, gum base, natural flavors (orange oil, lemon oil), artificial flavors, vegetable glycerin, gum Arabic, soy lecithin, malic acid, beeswax. Peppermint flavor: Xylitol, gum base, natural flavor (Peppermint oil), vegetable glycerin, gum Arabic, soy lecithin, beeswax. 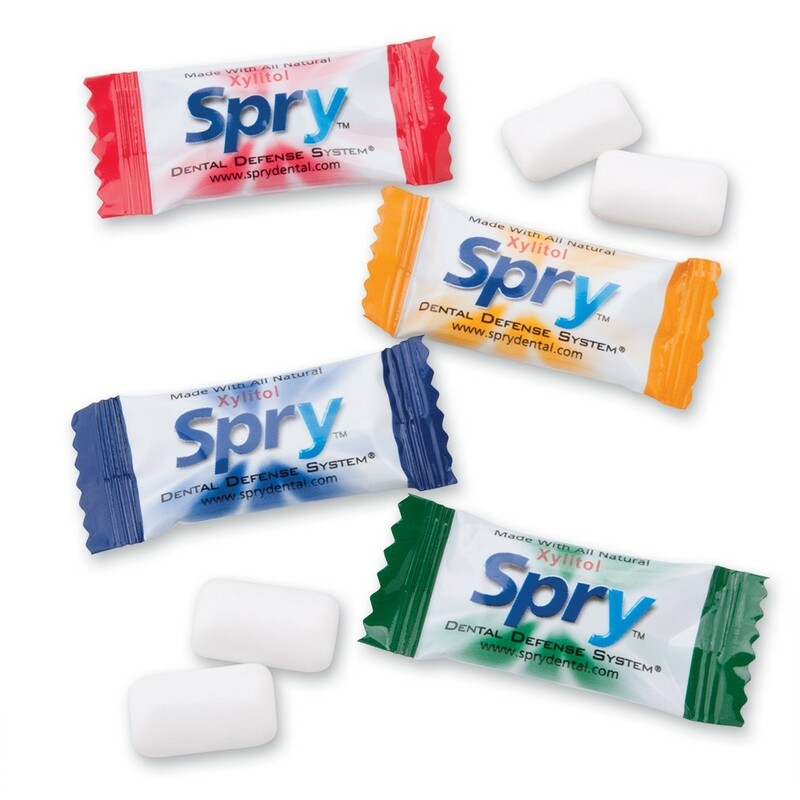 Spearmint flavor: Xylitol, gum base, natural flavor (Spearmint oil), vegetable glycerin, gum Arabic, soy lecithin, beeswax. .72 grams of Xylitol per pack.